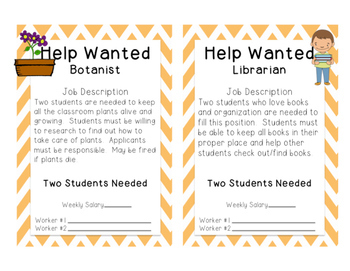 These classroom job signs are simple and easy to ensure that every student has a job and feels necessary in your class! 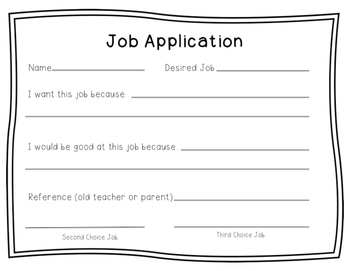 There are 29 jobs total and a job application. 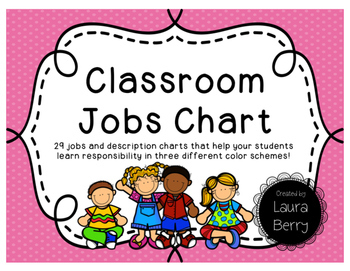 Each job has unique qualifications and can even have a salary (of class cash)! 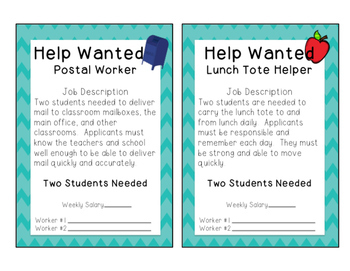 Print on colored card stock, laminate, and hang for a simple solution and fun to your class jobs!